The Police in Plateau State have confirmed the death of 9 people in an attack by gunmen on Rim, Riyom Local Government Area of Plateau State. The attack started from late Tuesday night to Wednesday morning, residents said. The police spokesperson, Felicia Anslem, who earlier informed PREMIUM TIMES that the police had sent its officials on Wednesday morning to the village, mentioned the casualty. However, residents of Rim said at least 16 people were killed by gunmen during the attack. Scores of houses, with a resident saying at least 200, were also burnt in the attack. The lawmaker lamented the continuous killings of villagers in the state in spite of the heavy presence of security agents through a body called the Special Task Force, STF. Mr. Dem accused the STF, deployed to state five years ago, of failing to restore law and order in Plateau. “It is surprising that the attacks are taking place in villages where there is presence of security men, particularly members of the STF. Why are they not going after the attackers,” he said. The lawmaker named the villages attacked to include Torok, Gwon, Gwarama, and Gwarim all in Rim District of Riyom Local Government. The legislator said 16 people were killed, mostly women and children. He said the victims were burned to death by the attackers. He also confirmed the burning of several houses by the attackers. Witness of the Rim attack, who spoke on the condition of anonymity, alleged that some of the attackers wore military uniforms. “Some of the attackers were in soldier uniforms; they were shooting and burning houses. When the shooting persisted we had to run for our lives,” a witness said. PREMIUM TIMES learnt that 9 out of the 16 victims of the Rim attack were members of a family; the family of one Moses Guduma, who is said to have lost his wives, 4 children, his mother, father, and grandmother. The STF Media Officer, Salisu Mustapha, who also confirmed the attack, said investigations have commenced. Mr. Mustapha, who did not give the number of houses burnt, said the STF had arrested three persons found with arms and ammunition suspected to have been used for the attack. “We are interrogating the suspects”, he said. There have been at least two previous attacks in the communities were the Tuesday attack took place. . Numerous lives have been lost even as the police and residents dispute fatality figures. 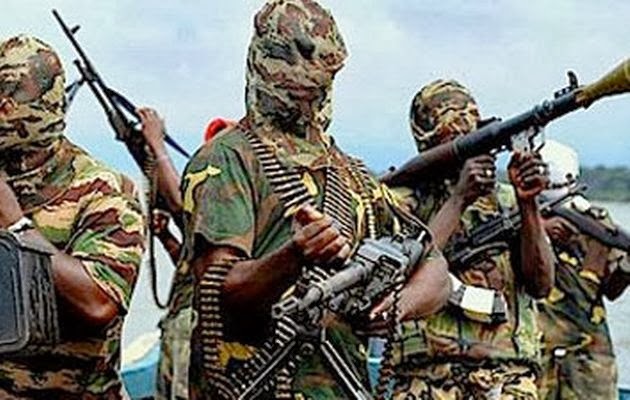 Another attack also reportedly occurred in Langtang South, southern Plateau State; although nobody died. Several buildings including a rice barn that contained over 300 bags of local rice were also reportedly destroyed.